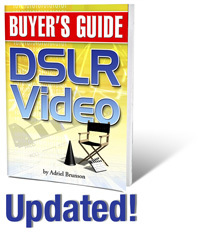 You probably need help when buying a camera or lens or microphone for DSLR video recording. There is a lot of choice and the market is changing rapidly. Don't buy something that's already obsolete. Get the best advice possible. Learn the science of taking Great Landscape Photographs With Any Camera And A Few Basic Accessories With This $19.95 216-page EBook(R)! Click Here!